That’s Del Ross, a senior advisor at McKinsey & Company and former IHG executive, assessing CRM. 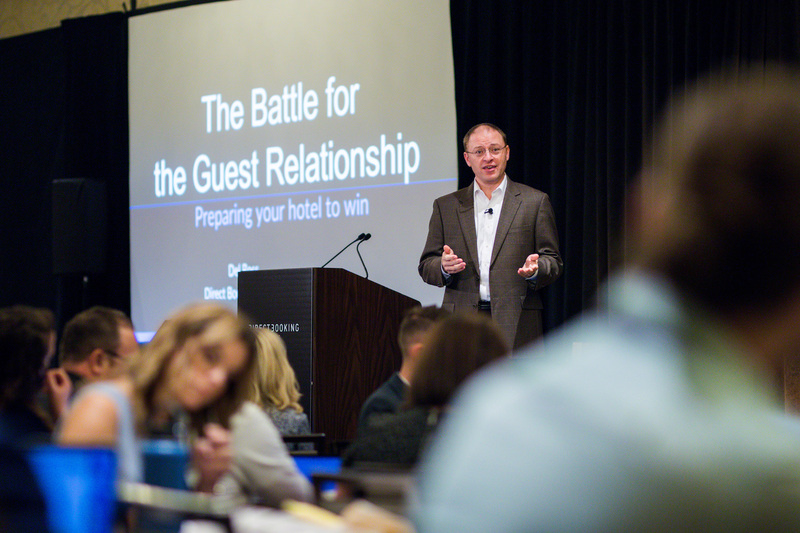 It was Del and his presentation at the 2017 Direct Booking Summit that inspired us to put together this Hotelier’s Guide. He was on stage for just 20 minutes, but at the end of the day our hotelier delegates chose CRM as the strategy they most wanted to try when they got back to their hotels. We sought out Del again for this blog series with the hope he would work his magic again. Prepare to be converted! How do you define CRM? CRM is about curation of the entire customer lifecycle — from her first trip to her last. True CRM includes a plan for every interaction with the traveler, whether the interaction is initiated by the guest — such as a visit to a hotel website, a call to a reservation desk, or the entire in-stay experience — or is the result of outreach by the hotel through email, social media, direct mail or other means. CRM is about intentional communications where the offer reflects customer behavior and expressed needs. It is based upon real-time, dynamic analysis of guest profile information, behavioral situations and market data. CRM is about both automated and human-driven action steps, tactics, and communications. Why is CRM important for hotels? Hotels are in the business of taking care of guests, but despite this the industry has always had a “transactional” mindset – treating every booking and stay as if it were the very first. Channel management and optimization have, until recently, been about trying to manage the costs of booking and reducing dependency on third parties. This approach ignores the actual customer — the hotel selection and booking process, the reason for travel, and how the trip is being financed. While hotels take care of their guests during their stay, they do very little to take care of the relationship with the customer over the long term. There are few differences between the guest experience of the new versus returning guest. Between stays, there is little interaction between hotel and guest and what does take place is often impersonal, untargeted, and ineffective. By contrast, OTAs recognize that attracting and retaining customers is critical to success, so they leverage technology to create aggressive customer relationship management programs over the entire customer lifecycle. What is the relationship between CRM and direct bookings? Once a hotel has attracted a new guest, the goal is twofold: secure future stays and influence the choice of booking channel to drive the highest rate at the lowest transaction cost. In general, direct channels deliver the highest yield for repeat bookings and present the most rich opportunities to influence brand perception. We don’t mind when a guest decides to return via an OTA booking – at least they are returning! It is important to understand the drivers of this choice. What was it about the trip that made an OTA the preferred channel? What needs were met by the OTA which might have been met by a direct channel? A hotel may use its CRM solution to provide both the analysis and action plans to capitalize on and influence future behavior. A robust CRM system and strategy should be the key driver of direct channel growth for any healthy hotel. 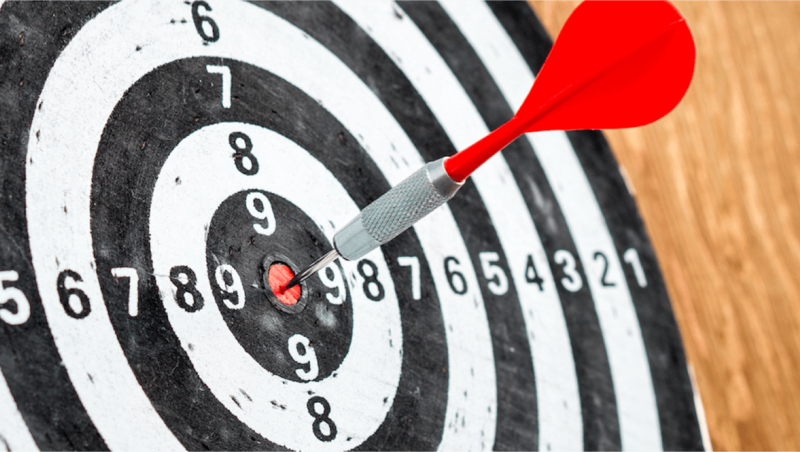 What is the minimum hotels should be doing when it comes to CRM? CRM starts with email. Capturing email addresses is straightforward and acceptable, and customers welcome timely and relevant communications. This established and proven media is both reliable and relatively easy to automate. Hotels that have not implemented an email marketing program should do this first before moving to more complicated media. What makes a good hotel CRM? Ease of use is critical. Time is precious for hotel managers, and very few operators are able to invest more than a few hours per week to look after marketing programs. As a result, automation is highly valuable. Hotels need a system that can be set up with thoughtful targeting rules, event-triggered communications, and a library of good content, offers, and creative which then can run on its own with minimal human oversight. Very few hotels have dedicated marketing managers with time to run complex manual campaigns – an automated system delivers the benefits of expert management with the least possible time commitment. What does having a CRM mean for hotels day-to-day? It means committing to enhancing and expanding the guest profile at every touchpoint. In an ideal scenario, at every interaction, human-to-human, guest-to-machine, important demographic, behavioral and preference data can be captured and stored using appropriate, legal means. Hotels already capture massive amounts of data from guests – from check-in requests to room preferences to whether they use the breakfast bar or if they prefer tea or coffee. If something goes wrong and the guest has a complaint, hotels capture the situation and its resolution – also valuable data for future marketing. A robust guest profile database includes more than the guest’s name and contact information. CRM performance is driven by the extent to which we understand our customers, and this depends upon the richness of our guest data. What results should hotels expect to see? The initial definition of success will be the rate of increase in repeat visitors followed by the revenues per booking and stay, and its growth over time. These translate into RevPAR performance improvement. A hotel with a new CRM program should experience a 2-5% uplift in RevPAR from repeat guests alone within the first 12 months of the program – more than enough to justify the low initial costs of program setup. What are the best uses of CRM you have seen? CRM benefits are most obvious for luxury and other full-service hotels, but mainstream and limited service hotels can experience the most dramatic benefits relative to the investment and effort required. OTA win-back is a classic example. In this scenario, a guest books through an OTA. He or she checks in and the front desk captures his/her email address. After checkout, he/she receives a thank you note which includes an invitation to return, a link to the direct booking website, and an offer for a $15 drink coupon (since we know that the guest purchased from the bar before). This kind of program should be fully automated — set it up once and you can leave it forever. It’s not exotic, glamorous or particularly difficult, but it’s highly effective. It is tempting to create unusual, creative offers which are tailored to the kinds of unique preferences each individual may have, but most of the benefits from CRM can be realized from obvious, straightforward offers, thoughtfully communicated in a timely way. Ritz Carlton built a brand around remembering the nuanced preferences of every guest, but mainstream hotels can capture most of the resulting upside with a fraction of the effort – provided that they select the right CRM system, configure it well, and train the staff to support the system over time. So what have we learned? Hotels have to shift from a transactional mindset to a more customer-centric one and play catch-up with OTAs on post-stay marketing; CRM can be a cost-effective way of boosting direct bookings; automation in a CRM system is likely to lead to success; and winning customers back from OTAs is possible with simple and logical campaigns. For the third part of CRM: A Hotelier's Guide, we'll be looking at some stats behind the theories and find out what CRM is really capable of.